SUPER CONGRATULATIONS TO STORYTELLER GEOFF! 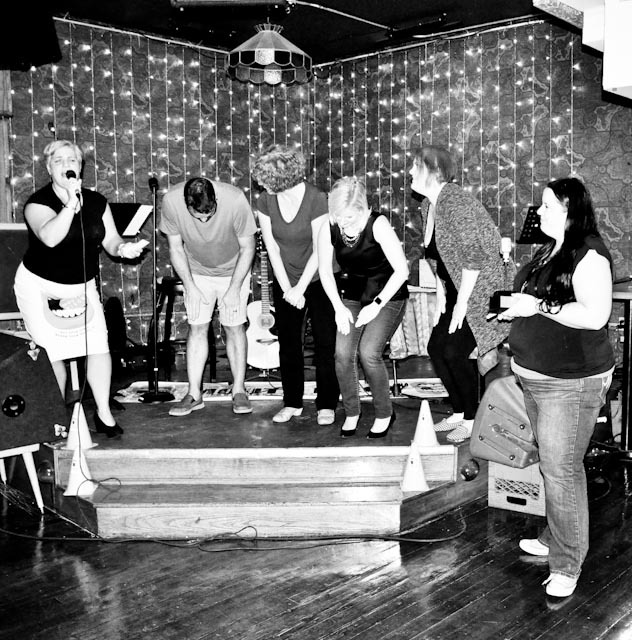 L-R: Host, Vanessa Shields, Geoff, Dorothy, Alicia and Krisen. What a night! 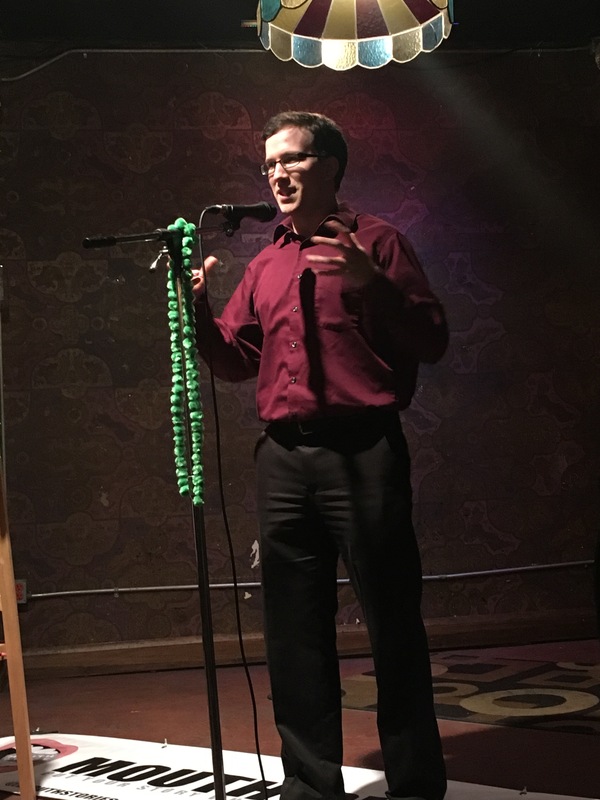 A loving and generous and lively audience PACKED Villains Baestro on Friday, September 21 for our annual Master Mouth-Off Event! 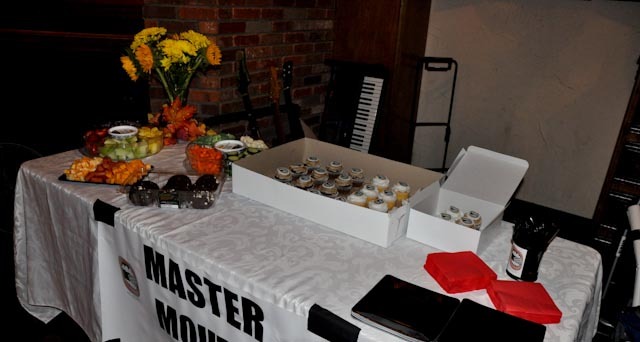 We had cupcakes, music, stories…it was a night filled with love and laughter. The incredibly talented (and for hire! 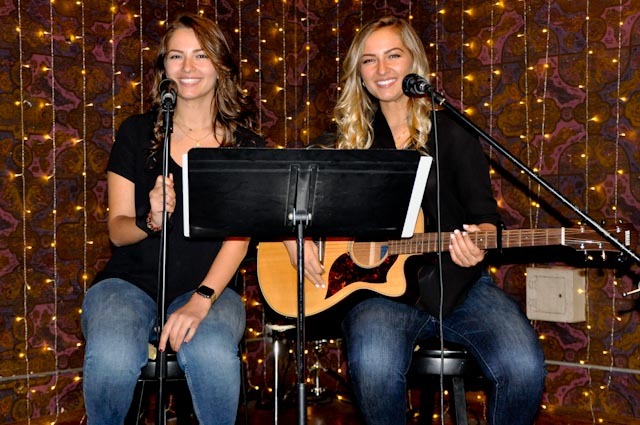 @micelitwins) Miceli sisters, Maria and Carolina wooed us with their music and fun stories between songs. Guest storyteller Dame Wilburn, (also the host of Dame’s Eclectic Brain, and an award-winning The Moth storyteller/host), began our storytelling evening with a hilarious story about her adventures in basketball. Although there were originally six storyteller competing, one of them, Ian, moved to England, and Peter, one of our ‘flood’ winners, was out of country. 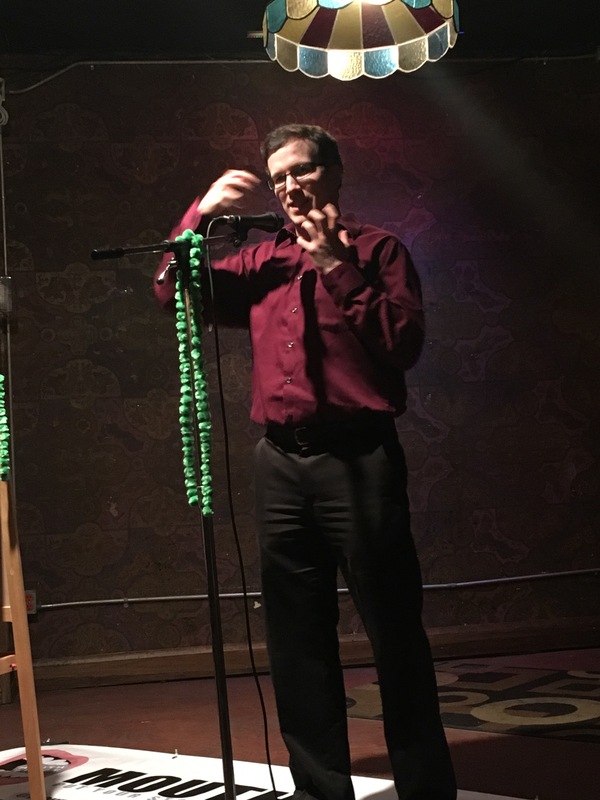 Peter sent a written story about a very…shifty…mishap with a key that was read to the crowd. 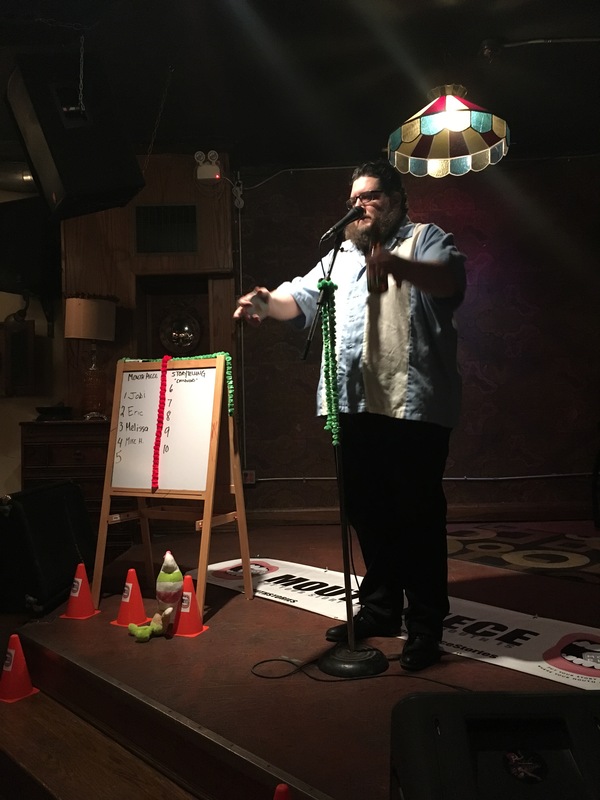 Four storytellers were left to share their stories live. Storyteller Dorothy brought along a prop to share her story about a ‘secret’ that she and her husband kept from their kids. See, they told them the ‘giant fossil’ they found was a dinosaur. Doesn’t it look like one, though?! 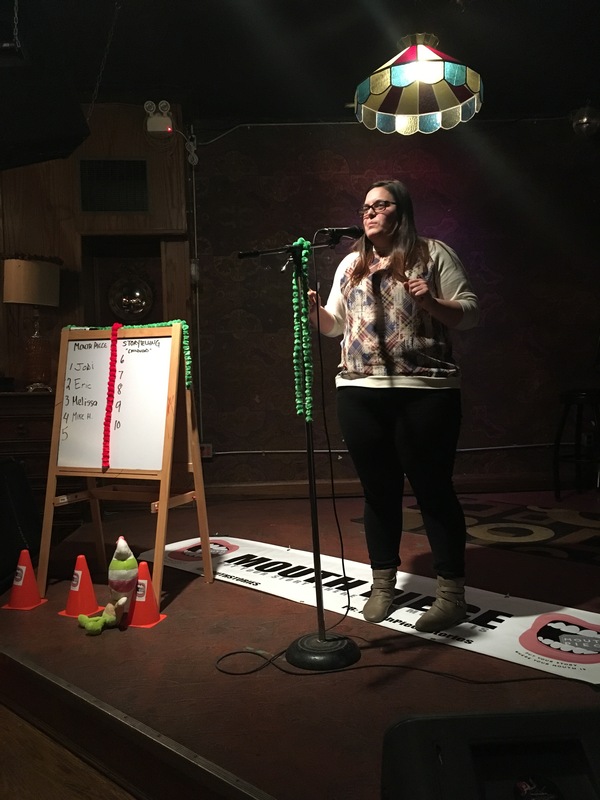 Storyteller Kristen recounted the story about being stalked by a white van. A very mysterious, slow-moving white van in a dead of a cold winter’s night. She was clad in a snowsuit…and had a pile of Windsor Star papers stuck to her boot! 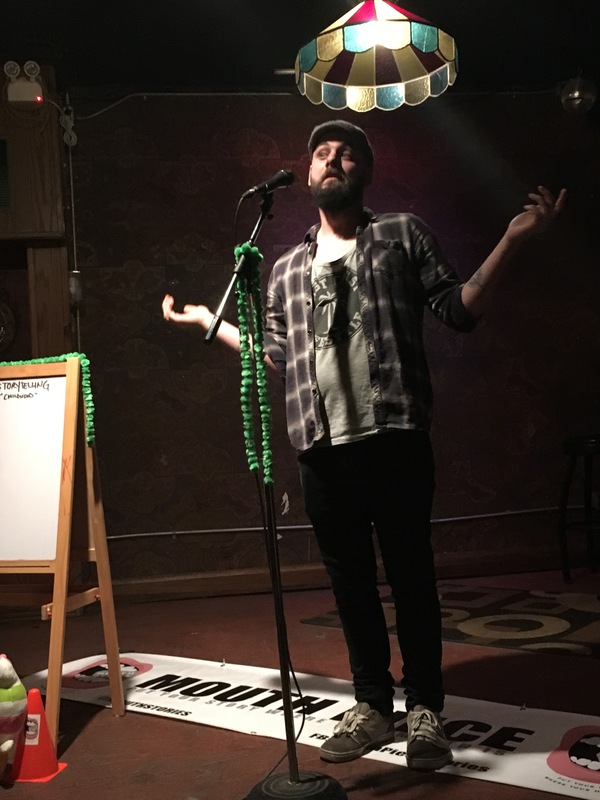 And the champion storyteller, Geoff, (also the owner of Villains Baestro) shared a story about using condiments to fight off a criminal in a convenience store! Oh boy – who knew mayonnaise could save the day? Champion Jodi Nelitz, and local storyteller, historian and poet, Teajai Travis. Thank you to Michelle for the delicious cupcakes! 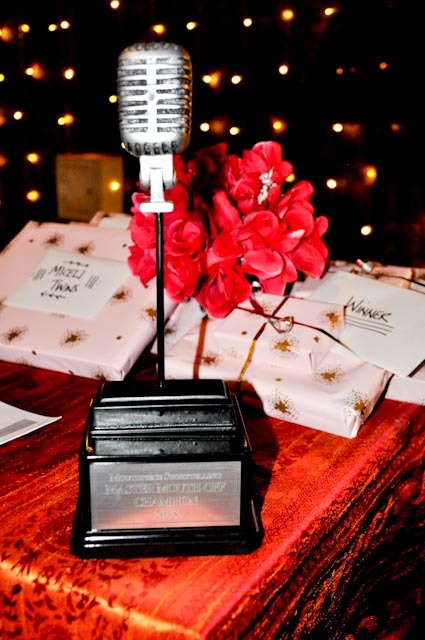 The Master Mouth-Off Trophy and prizes. Thank you also to the City of Windsor Arts, Culture & Heritage Fund for the grant we received to make this event happen! As well, thank you to our event sponsor, Suede Productions. 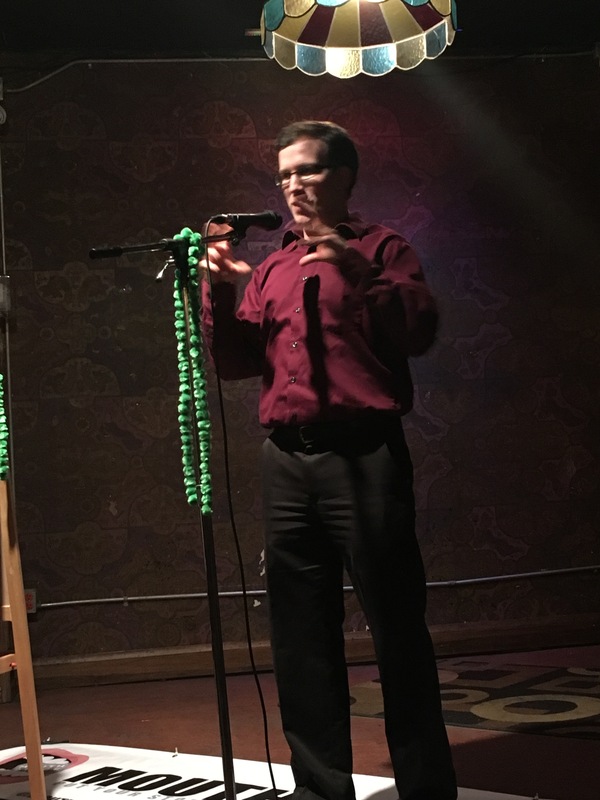 It was another wonderful, exciting, nerve-wracking, hilarious storytelling event! You rock Windsor! 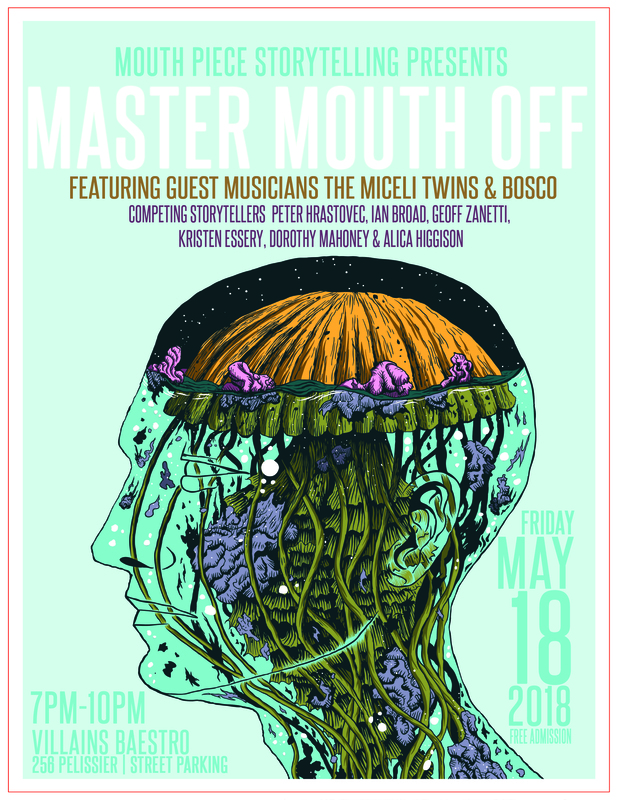 MASTER MOUTH OFF EVENT (FINALLY) HAPPENING! FRI. SEPT, 21! 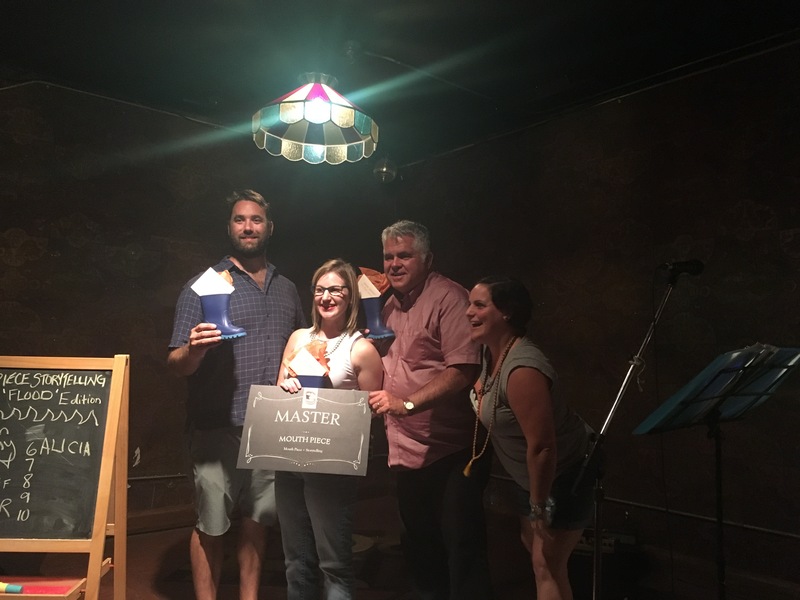 PLEASE JOIN US ON FRIDAY, SEPTEMBER 21, 2018 FROM 7PM – 10PM AT VILLAINS BAESTRO TO CELEBRATE THE 2017 MASTER MOUTH PIECES’ AS THEY COMPETE FOR THE COVETED PRIZE OF MASTER MOUTH OFF! 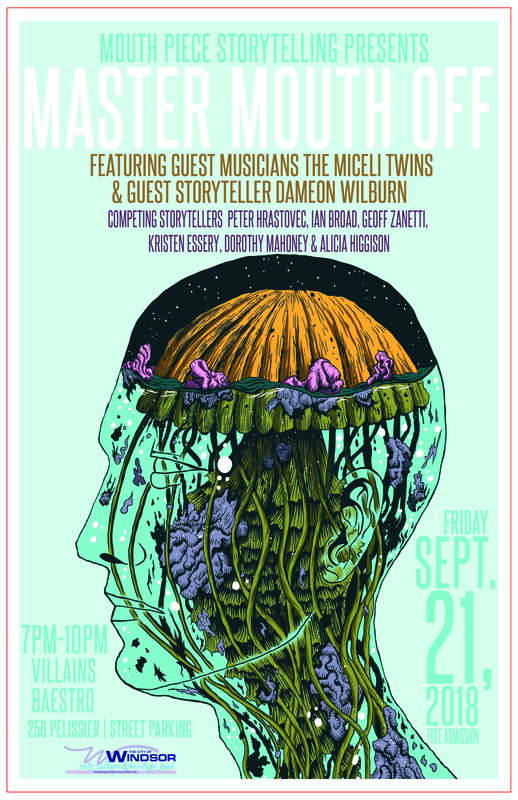 We are happy to announce that world-class, professional storyteller Dameon Wilburn will be our Guest Storyteller and that The Miceli Twins will be performing live music as our musical guests. 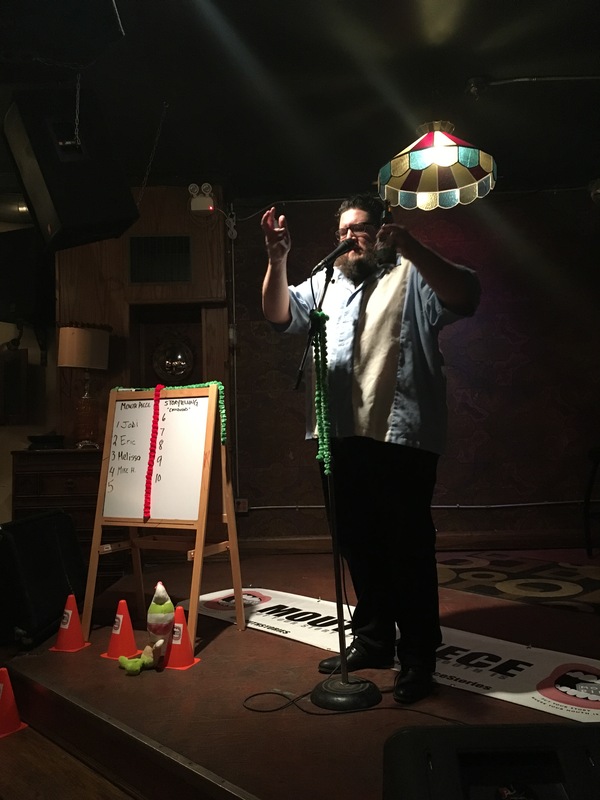 Guest judges include Jodi Nelitz, the current Master Mouth-Off Champion, and storyteller Teajai Travis from the Bloomfield House. Thank you again to the City of Windsor and the Arts, Culture and Heritage Fund for giving us a grant to help make this event EPIC. Here is our Facebook event page! Please let us know you’re coming! Thank you for all your patience and support, friends! We’ll see you soon! Don’t forget to Put Your Story Where Your Mouth Is! THANK YOU CITY OF WINDSOR ARTS, CULTURE & HERITAGE FUND! 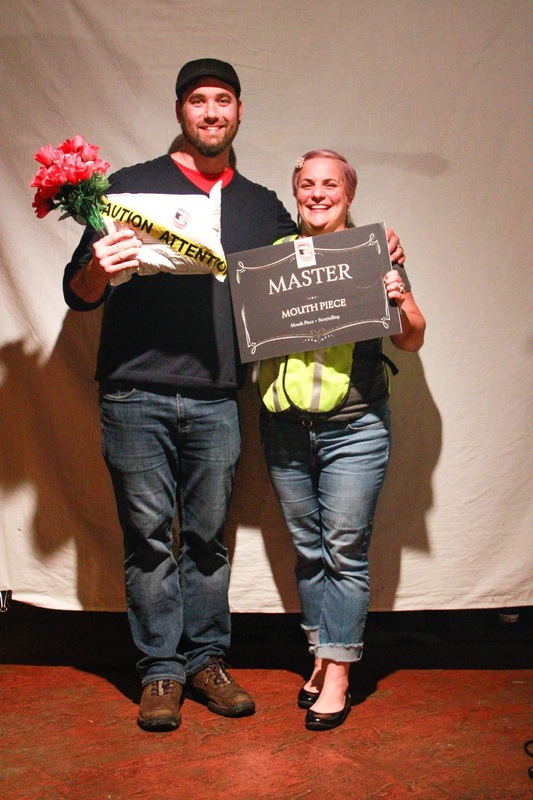 Thank you to the City of Windsor’s Arts, Culture & Heritage Fund for awarding Mouth Piece Storytelling a grant for our Master Mouth Off event! Although it is currently postponed, we will reschedule and be able to use these funds to make the event spectacular! We are proud to say that part of our storytelling culture in the City of Windsor includes how generous and giving it is to its artists and storytellers! Can I get a THANK YOU UP IN HERE?!! MASTER MOUTH OFF EVENT POSTPONED! URGENT! 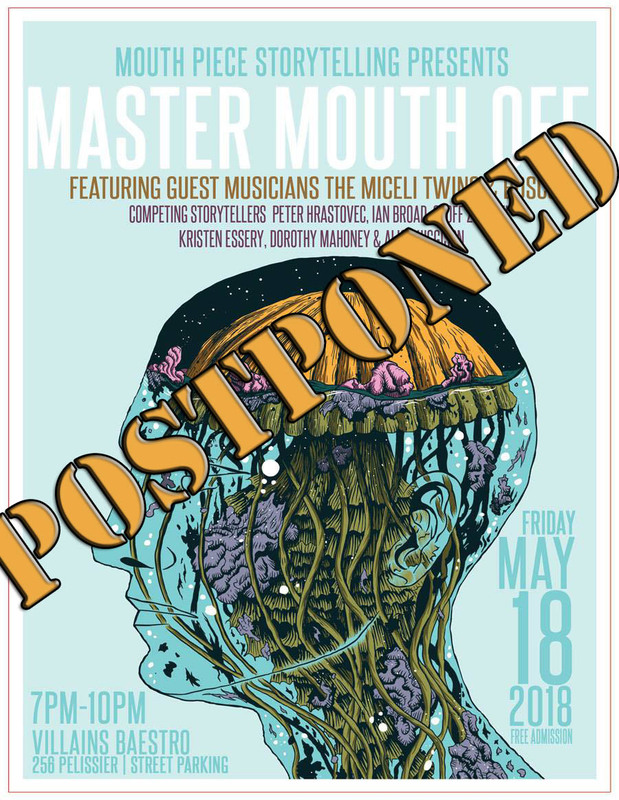 THE MASTER MOUTH-OFF EVENT FOR MAY 18TH, 2018 HAS BEEN POSTPONED AND WILL BE RESCHEDULED SOON! Yes, I know, that’s the start of the long weekend (for us Canadian folk) but not everyone will go away!!! Right?! Right! Indeed, please mark your calendars for this momentous storytelling event where all the WINNERS AKA MASTER MOUTH PIECES FROM our 2017 season for TOP HONOURS AS THE MASTER MOUTH-PIECE. Each storyteller will tell a five minute story. Our Guest judges will do the judging. And one storyteller will win a FANCY AWARD TROPHY and bragging rights as Windsor’s BEST STORYTELLER. Come on. That’s totally cool. 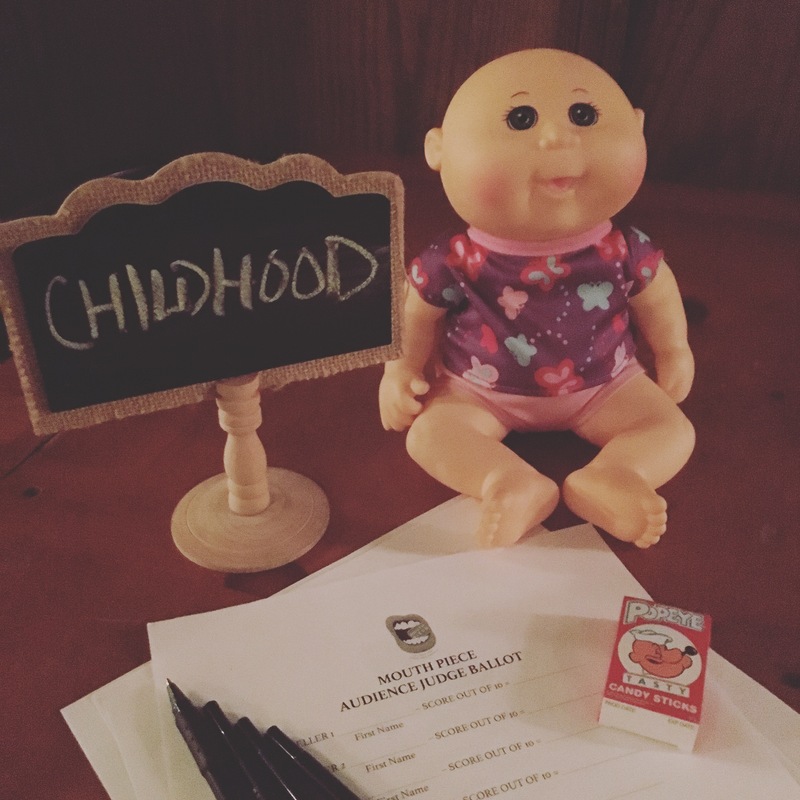 The Childhood Edition Re-Cap and Important News about MPS 2018! 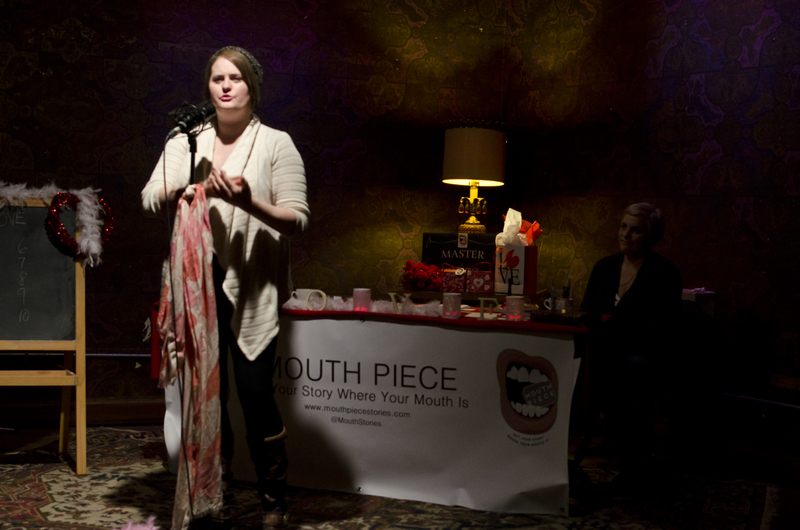 The Childhood edition of Mouth Piece Storytelling was Cabbage Patch doll-sniffing awesome! We gathered together on a mild December evening to share stories about our childhoods. By golly is that ever a vast and wild place where stories live! With an inspiring start by Guest Storyteller Janice Smith and musical power by Guest musician Allison Brown (that’s with two ‘L’s not one! ), five storytellers braved the Villains’ stage and had us laughing, gaffawing, shocked and stunned! Guest Storyteller Janice Smith shared several childhood stories! She was passionate, funny and inspiring! 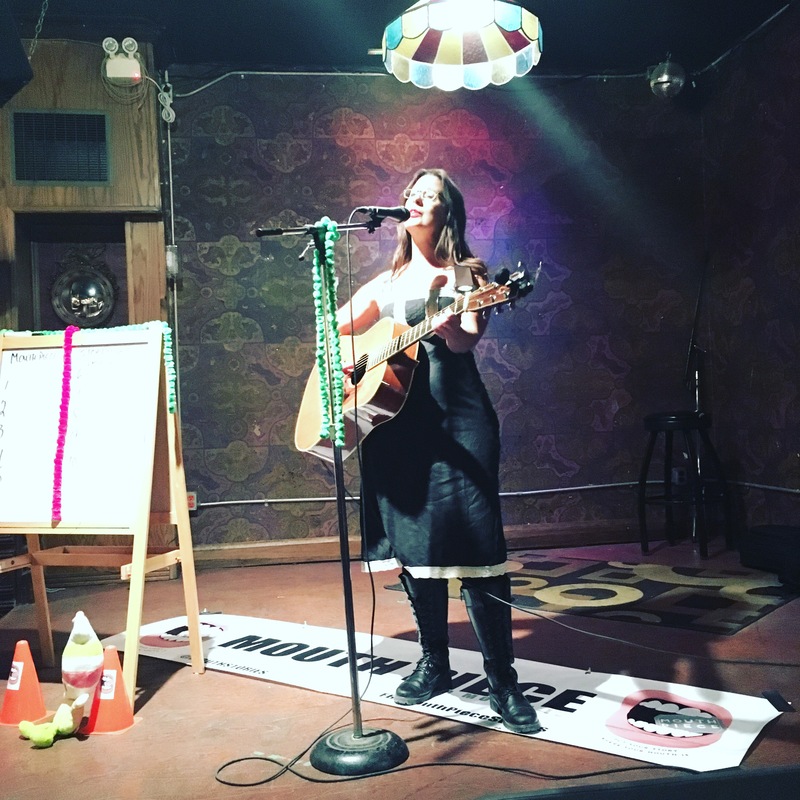 To get our storytelling juices flowing, musician Allison Brown, who tells incredible stories in her songwriting and singing, also shared personal stories about her musical life. Singer/songwriter Allison Brown. What a talent! 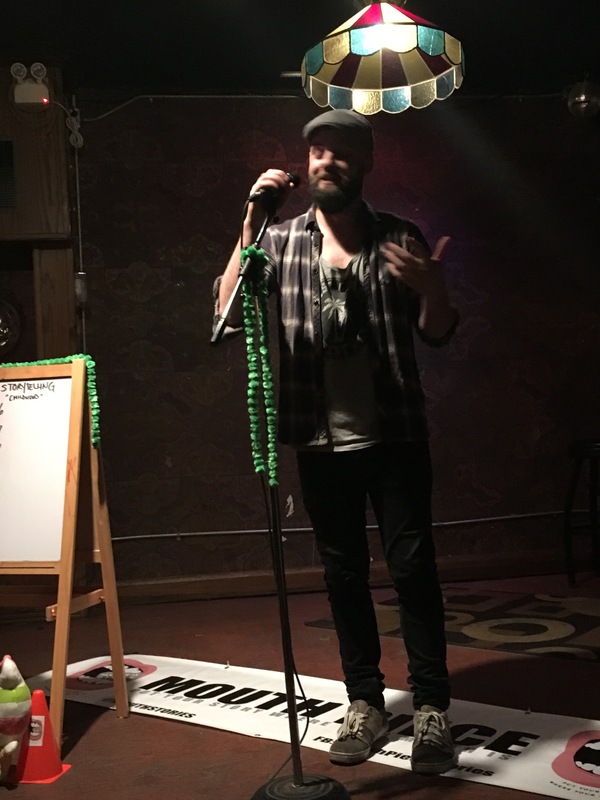 Ian, the bartender at Villains, has braved the stage at several events, but this time – he WON! Thank you to everyone who shared a story and to our wonderful audience who continues to show up, participate, spread the word, and support storytelling! The Childhood Edition was the season (2017) closer. We ended the year with a beautiful bang! 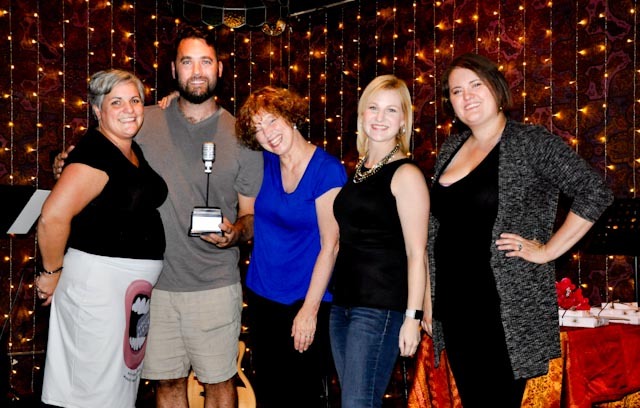 Though we had less events this year than previously, we ended up with the same amount of Master Mouth Pieces who will compete in our grand Master Mouth-Off this year. This year, at least in the beginning, we will not be having any competitions. We are awaiting the call for the next Arts, Culture & Heritage Fund grants to open so we can apply for a grant to plan and have our Master Mouth-Off. Because we are a small team (sometimes only one! ), we need to take some time to plan our big event and plan it well. 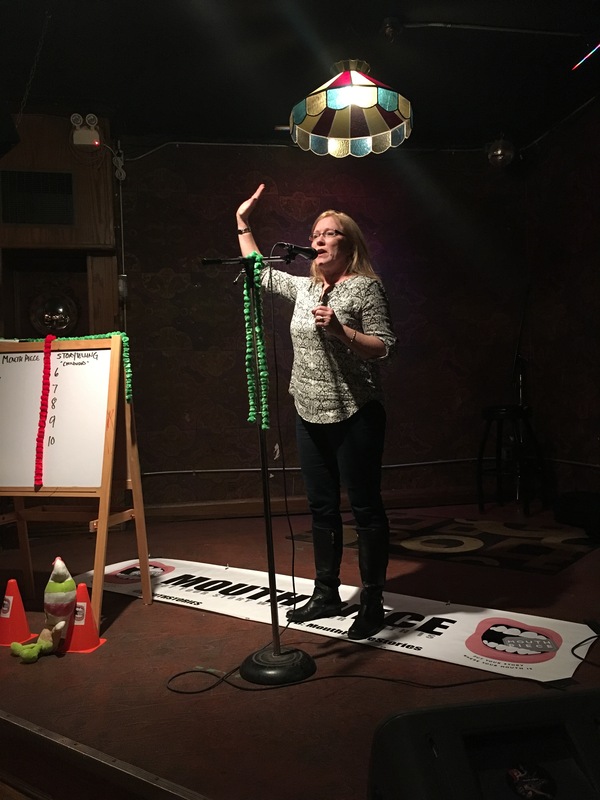 We are always looking for sponsors, which would help tremendously in the frequency of events, so if you know a company who you think would be happy to donate or sponsor Mouth Piece Storytelling, please let us know! In the meantime, we’ll be preparing for the grant, writing and submitting the grant, then planning our Master Mouth-Off. We do appreciate your patronage and support thus far – we are not ending (NEVER! ), but we’re taking a bit of time to prep for our grand event. To give you a timeframe, the ACHF grant closes March 2018 – so that means we’ll hear about whether or not we get the grant after that – which also means that our Master Mouth-Off will likely happen in April or May. 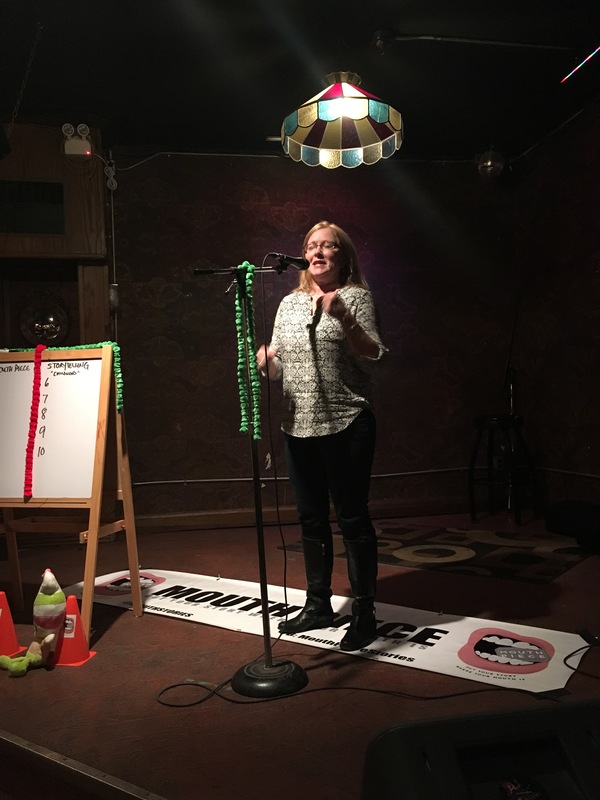 If you are itching to continue to share your stories and/or get on stage, please check out one or all of the many open mics for music and poetry, for karaoke and more…that happen in our grand city and in Detroit and Ann Arbor. 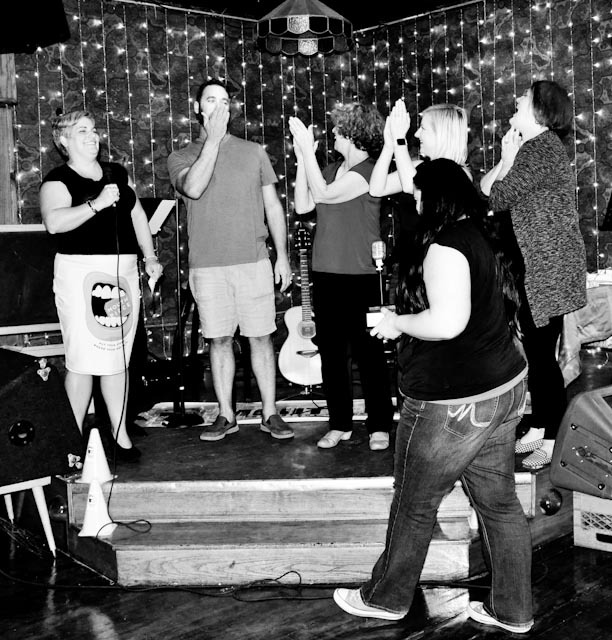 Interested in knowing who will compete at the Master Mouth-Off? 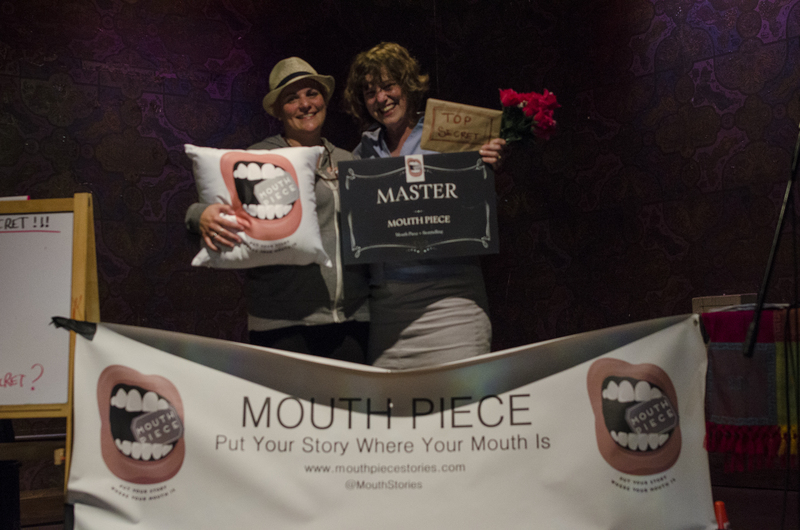 Here are the winning Master Mouth Pieces’! Stayed tuned for more information regarding our Master Mouth-Off. It will be held at Villains Baestro. Please check out our podcast on Soundcloud as well – all stories, all the time! Thank you for putting your story where you mouth is! SEASON CLOSER! THE CHILDHOOD EDITION! 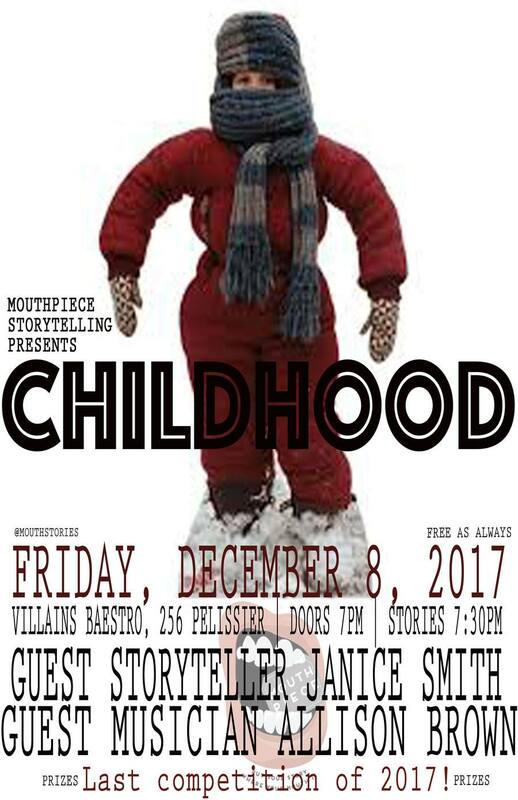 Join us at our season closer for the Childhood edition! 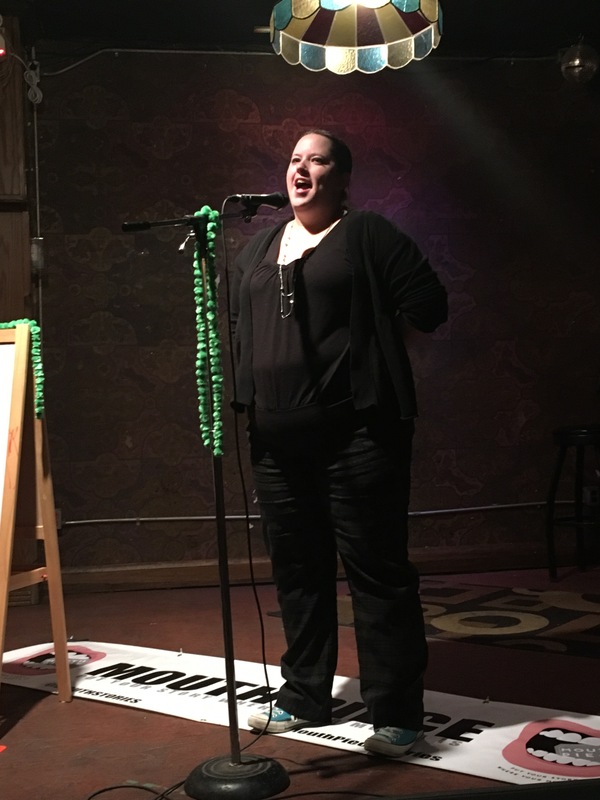 Featuring Guest Storyteller Janice Smith and Guest Musician Allison Brown. Stories and music will begin promptly at 7:30pm. Regular competition rules apply: tell a TRUE, PERSONAL STORY about your childhood up to 5 minutes in length. Audience votes will choose a Master Mouth Piece who will continue to the Master Mouth-Off Event (TBA!). So childhood…we’ve all got stories from childhood that stick with us through adulthood! Sift through your memories and bring out the big-gun stories! Did you have to wear a ridiculous snowsuit? Did your parents cut your hair in a terrible style? Who was your first crush? First kiss fiascos? This part of our lives is ripe with stories – so think about what you’d like to share and come on down to Villains Baestro! Here’s more details on how to be a storyteller! Congratulations to our Master Mouth Pieces of the 2017 season! Will you be the next one? !